The Menifee father of a woman who shot three people at YouTube offices in Northern California before killing herself said Wednesday the family is in shock at the shooting and is praying for the victims. “Our family is in absolute shock and can’t make sense of what has happened yesterday,” Ismail Aghdam wrote in a statement he handed to reporters gathered outside his Menifee home. “Although no words can describe our deep pain for this tragedy, our family would like to express their utmost regret, sorrow for what has happened to innocent victims. 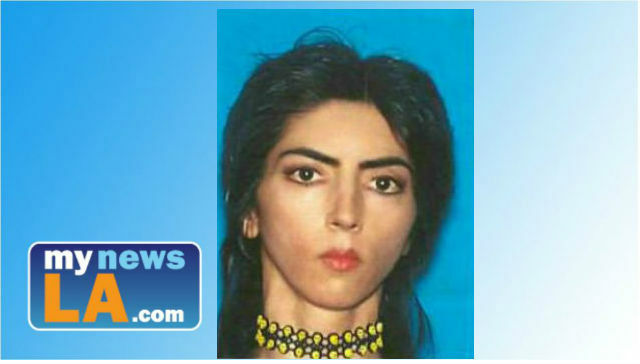 Nasim Najafi Aghdam, who was living with her grandmother in San Diego, carried out the shooting spree at YouTube offices in San Bruno around midday Tuesday, then turned the gun on herself. Police said Aghdam was 39, but her family told reporters that Wednesday would have been her 38th birthday. An investigation was continuing into her motive for the shooting, although her online posts showed she was angry with YouTube over what she called censorship of her videos and efforts to reduce her number of viewers. Her father and brother both said they warned law enforcement about her hatred of YouTube, most recently around 2 a.m. Tuesday when Aghdam was found by police sleeping in her car in Mountain View. She had been reported missing by her family the previous day. Her brother, who asked not to be identified, told ABC7 he did a Google search on Mountain View after the family was contacted by police. When he realized it was close to YouTube’s San Bruno offices, the family called Mountain View police back to warn them. “So I called the cop again and told him she went all the way from San Diego, so she might do something,” said the brother, who did not want to be identified. San Bruno police Chief Ed Barberini said during a Wednesday morning news conference he was unaware of what information might have been passed along to police before the shooting. But he said the Tuesday afternoon shooting was his department’s first contact with the woman. He said Aghdam practiced at a gun range Tuesday morning before carrying out the midday shooting with a 9mm Smith & Wesson handgun registered in her name. Mountain View police issued a statement confirming that Aghdam’s family had contacted the department to say she was upset at YouTube. According to Mountain View police, Aghdam told officers who found her early Tuesday morning that she was living in her vehicle while looking for a job in the area. Ismail Aghdam said his daughter was “angry” at YouTube because she felt the company was censoring her videos and stopped paying her for her work. A website that apparently belonged to her featured rants about perceived censorship by YouTube. Most of Aghdam’s videos featured low production values and showed her dancing, singing and sharing pro-vegan and animal rights messages. Aghdam’s brother told Southern California News Group that the family had moved to California from Iran in 1996, but Nasim has been living with her grandmother in San Diego. “She was always complaining that YouTube ruined her life,” the brother said. Police said Aghdam opened fire as YouTube employees were taking their lunch breaks Tuesday. Authorities received numerous 911 calls reporting gunshots at the YouTube campus south of San Francisco at 12:46 p.m., according to the San Bruno Police Department. Arriving officers encountered numerous employees fleeing the premises and one victim at the site, San Bruno police Cmdr. Geoff Caldwell said. Two additional gunshot victims had fled to a neighboring business. Inside the complex, officers located a dead woman — later identified as Aghdam — with an apparent self-inflicted gunshot wound, Caldwell said. The most seriously injured victim, a 36-year-old man, remains hospitalized in critical condition, according to police. Two women, ages 32 and 27, were treated for less serious gunshot wounds and have since been released. Another woman injured an ankle while fleeing the scene. The YouTube campus remained closed Wednesday. The San Bruno police chief said Aghdam’s car was impounded and being examined, but no notes or manifestos were found that forecast the violence, aside from online rants that did not appear to mention any violent intentions.